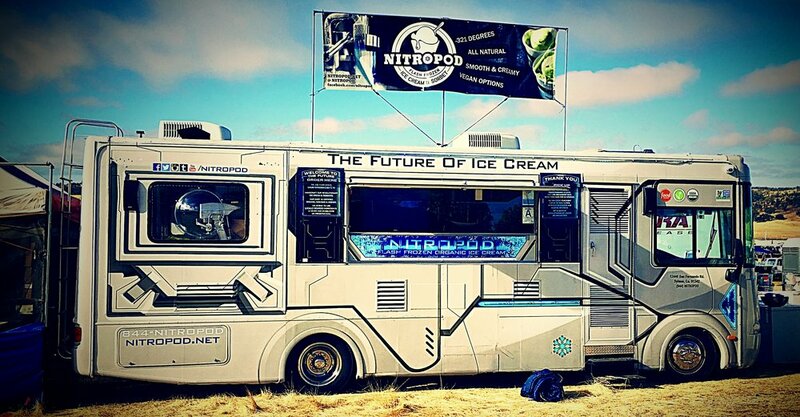 NITROPOD is the future of frozen desserts. We combine science, technology, and the culinary arts to create an unforgettable product and experience. We flash freeze organic and all-natural ingredients with food grade liquid nitrogen. The result, is the smoothest, creamiest, best tasting ice cream and sorbet in the world. If you're looking for a fun, unique way to make your dinner party or event a memorable one, you've found it. We hand craft our ice cream and sorbet using a revolutionary, liquid nitrogen freezing process. We only use the finest local sourced ingredients. Our dairy is certified organic and we never add any preservatives, stabilizers, carrageenan, or gums. We never use corn syrup or any artificial colors of flavors. Our "Super-premium Nitro" desserts are created instantly before your eyes. The flash freezing creates microscopic ice crystals, which results in a smoother and creamier texture than "regular" ice cream. -321 degree Liquid Nitrogen is also the only way to turn your favorite cocktails into unforgettable frozen drinks & desserts. We use a cryogenic mixer to achieve a creamy texture that mixing by hand doesn't provide. People tell us all the time, "This is the greatest thing I've ever put in my mouth!" It really is different from traditional ice cream and sorbet. 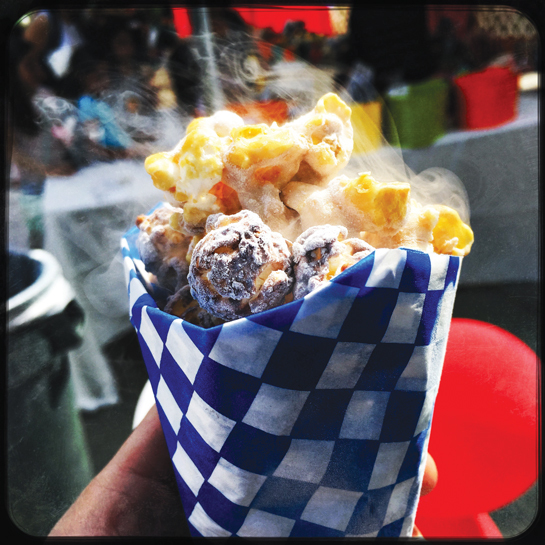 We also serve Dragon's Breath Snacks AKA NITROPOP's NITROPUFFS - A truly unique way for your guests to experience the effects of liquid nitrogen! It's the perfect selfie/video opportunity for your guests to share on social media. Check it out in the video below. NITROPOD brings this amazing process to your home, office, or event space for a magical experience your guests will never forget. Are you ready to taste the future of ice cream? We use food grade liquid nitrogen to freeze organic ice cream, vegan ice cream, sorbet, popcorn and cereal puffs for an unforgettable dessert experience. We can provide catering services inside or outside, with or without our 30' NITROPOD ice cream truck. The Jewish Journal named us one of the 10 party vendors you need to know about! See us on CNBC's "STRANGE SUCCESS"
We love doing fundraisers and school events! OR use this form to get an estimate FAST! Create an unforgettable experience at your dinner party no matter how big or small. 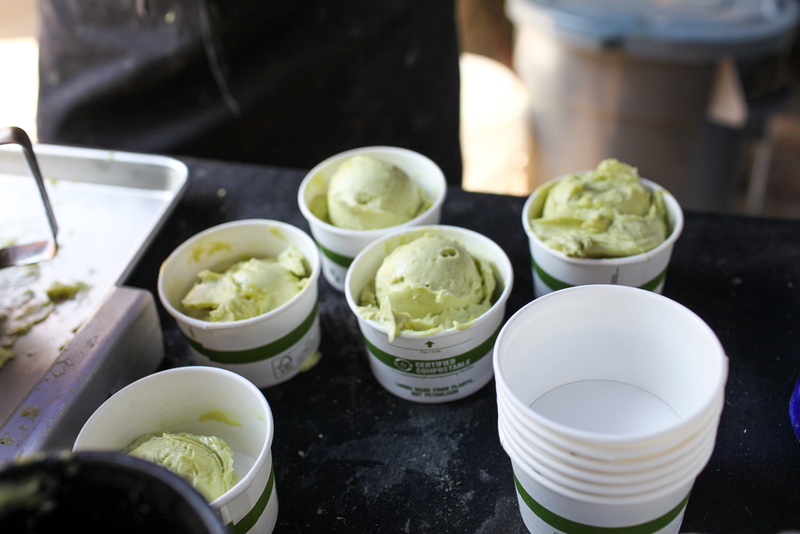 Weddings, birthdays, mitzvahs, and company parties, are a whole lot cooler with custom made ice cream and sorbet. 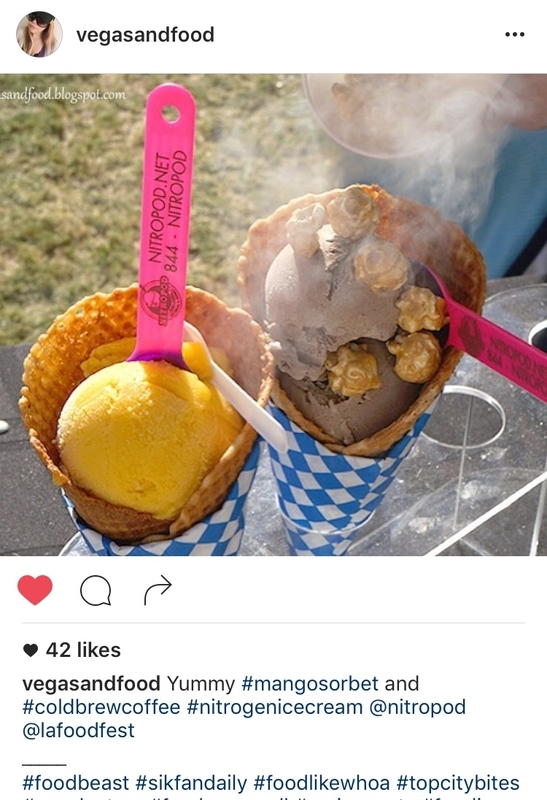 We bring our liquid nitrogen kitchen to music, food, and art festivals all over southern California. When the NITROPOD is on the streets and open for business, we'll post the location to Twitter, Instagram, and Facebook. The latest menu is posted below. We will consider coming to your neighborhood, office, or school if you can guarantee us parking and a minimum number of customers. Send us a message on Twitter or call 844-NITROPOD and tell us where you are and we'll try and make it happen! We freeze giant fruity puffs with blast of liquid nitrogen. Guests eat them quickly and force cold vapor out of their nose and mouth. A great visual for social media and selfies. This is truly a unique experience that many have never had. Our dairy comes from the Straus Family Creamery, the first 100% certified organic creamery in the United States. Our flavors are ALL NATURAL and contain NO preservatives, NO stabilizers, NO GMO's, and NO high fructose corn syrup. We create a menu each season that combines the classics with a few NITROPOD signature flavors that will satisfy all your guests. Our truck has 11 flavors on board along with waffle cones and soda floats. Our flavor list is ALWAYS growing. The following list is just a guide, we can produce custom flavors that you create. The liquid nitrogen process allows us to infuse our products with alcohol for amazing cocktail recipes. We use organic, local source ingredients when possible, and never use artificial colors or flavors. 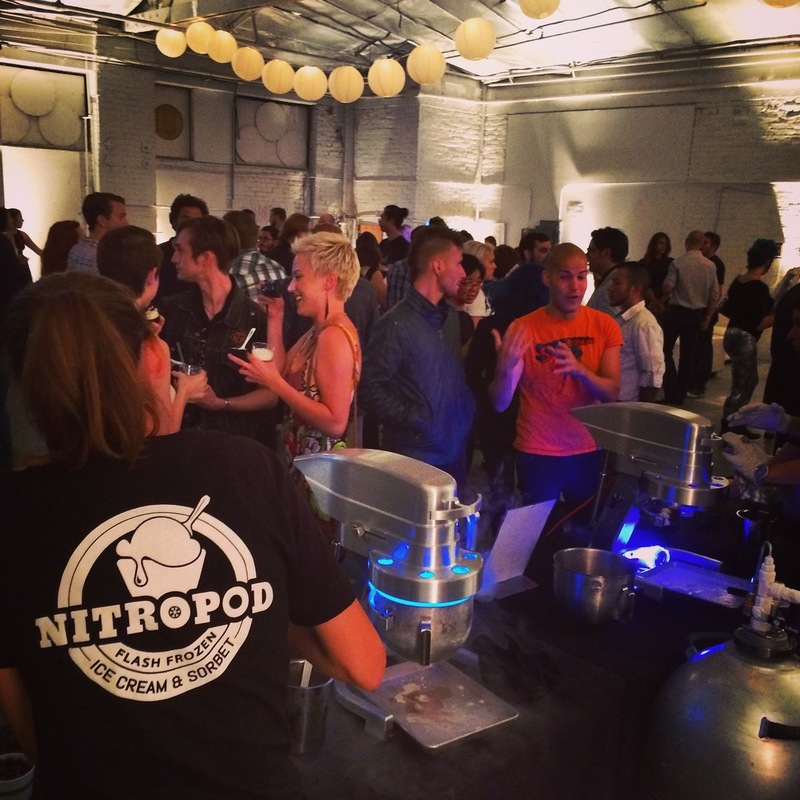 The NITROPOD was born to create the most amazing frozen desserts you've ever tasted. After thousands of years, science and technology have come together to improve something people didn't realize could be any better. Our goal is to bring this amazing experience to as many people as possible. The process is magical and we enjoy seeing people taste the difference that liquid nitrogen and fresh premium ingredients can make. The company was founded by Scot Rubin, an entrepreneur who spent 10 years as a bartender in Boston, NYC, and the Caribbean. His passion for ice cream began at an early age, with jobs at Brigham's and Friendly’s in his home state of Massachusetts. He is also a lifelong entertainer who loves to make people smile. In 1995 Scot was one of the pioneers of webcasting, producing and hosting the worlds first daily talk show about the billion dollar video game industry on All Games Network at www.allgames.com. Over the next 15 years he interviewed software developers, musicians, athletes, executives and gamers and was co-founder of the cable television channel G4 and Executive Producer of the NFL's Quarterback Club channel in 1999. Jack of all trades, master of few, Bobby joined the Nitropod crew in October 2014. Brought on as a temp he quickly learned the ways of the “Future of Ice Cream.” At the end of his first week, he hosted his own catering event and the bond was set. As a former professional bassist, he wasn’t expecting to find a home in micro gastronomy. Through his passion of bbq, making sauce, rubs, pairing woods with specific meats, etc., he applied the same passion to the crafting of the finest ice cream in Los Angeles. Developing new recipes, tweaking old ones, and refining the manufacturing process to be more efficient. Since then, Bobby has become the Operations Manager, and is the smiling giant you see today. We were featured as one 18 Quirky, Niche Businesses on Mashable.com - We don't mind being called Quirky. NITROPOD was featured on the INSIDE HOOK blog.